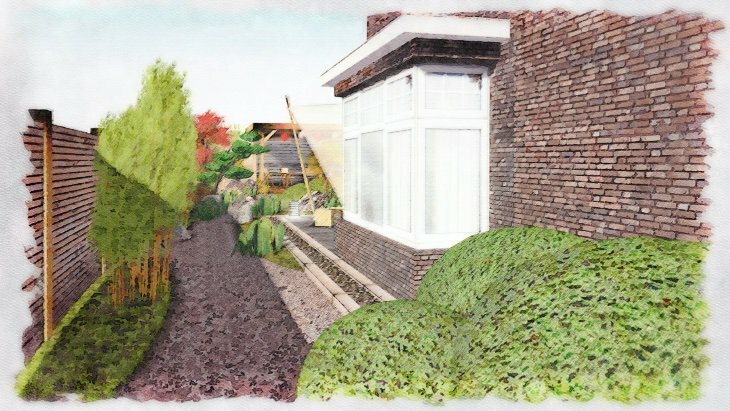 Sketches for a fairly large garden in a new residential area in Twello, the Netherlands. 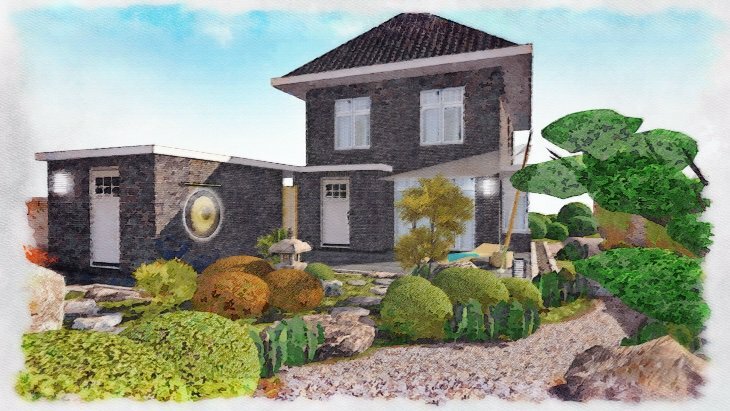 The backyard measures 17 x 17 meters and the side garden 20 x 4 meters. 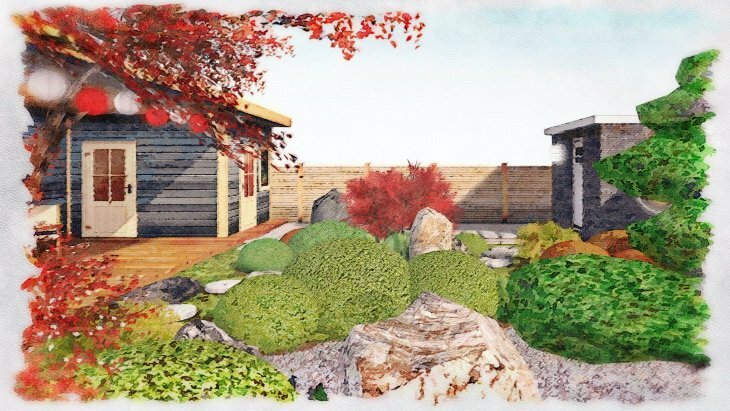 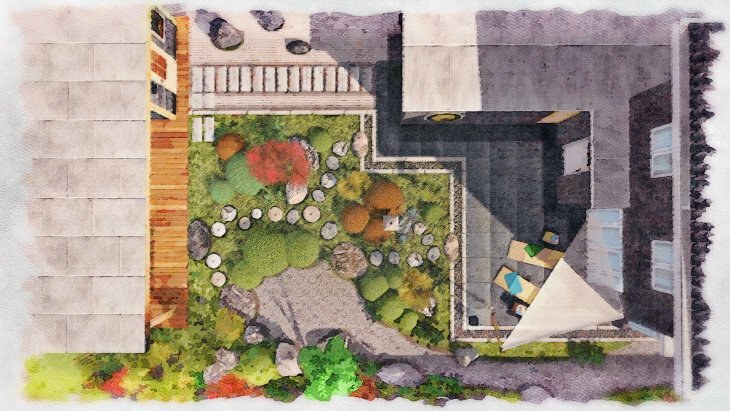 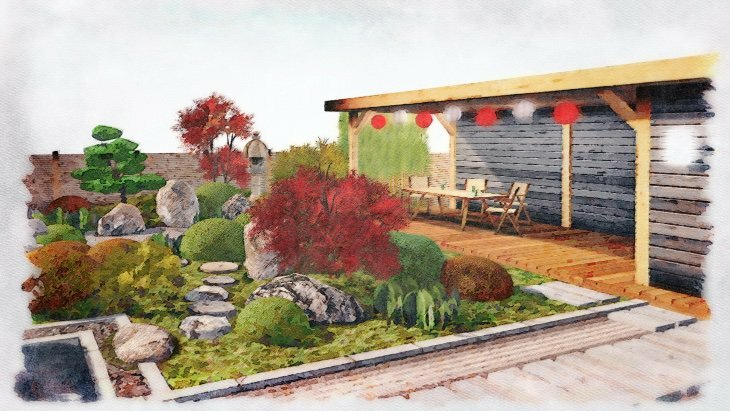 The target was to design a 'not too classic' Japanese garden with modern influences. 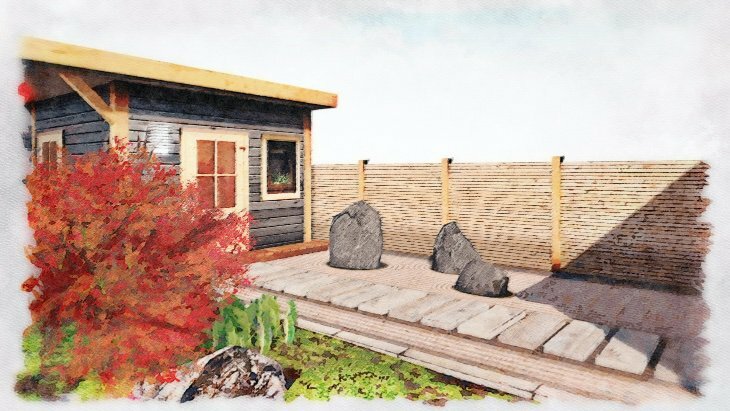 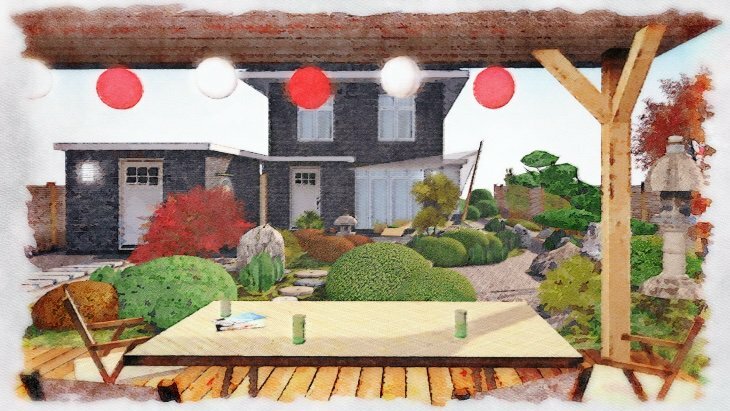 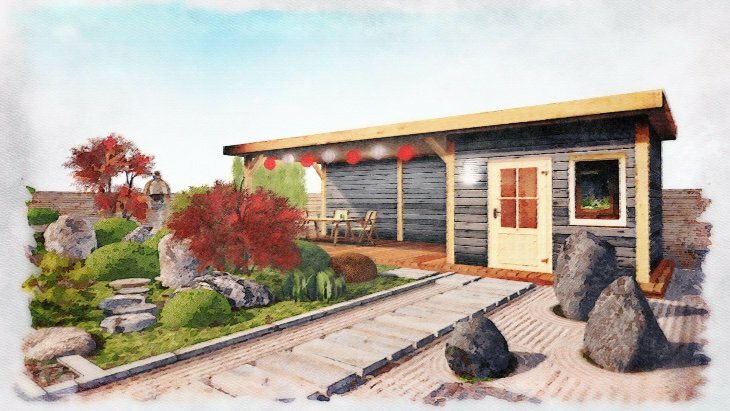 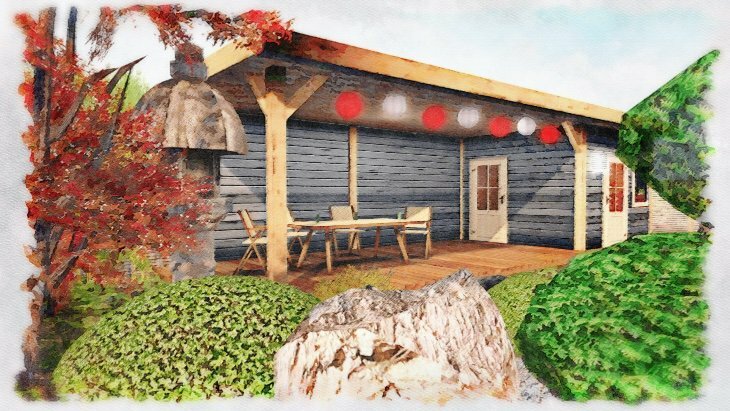 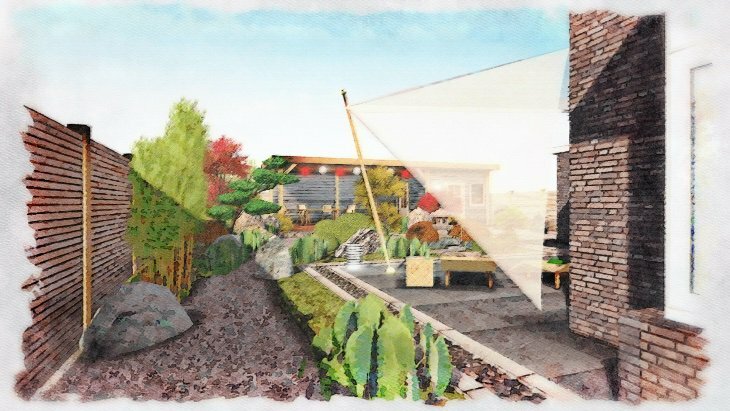 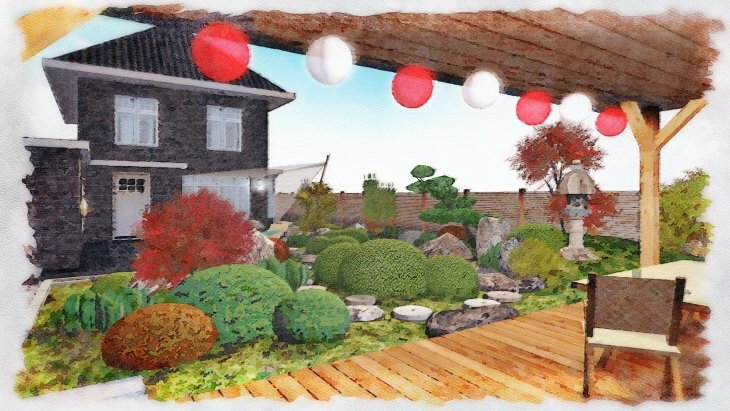 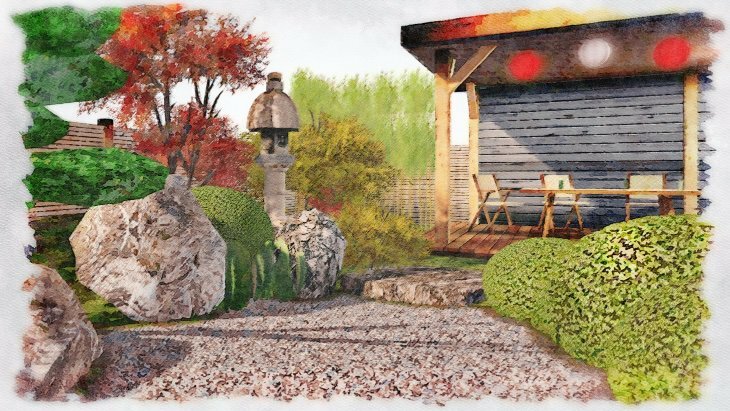 In the back of the garden, a covered veranda has been planned with a good overview of the main rock formations, the Japanese Nurasagi lantern and the pond. 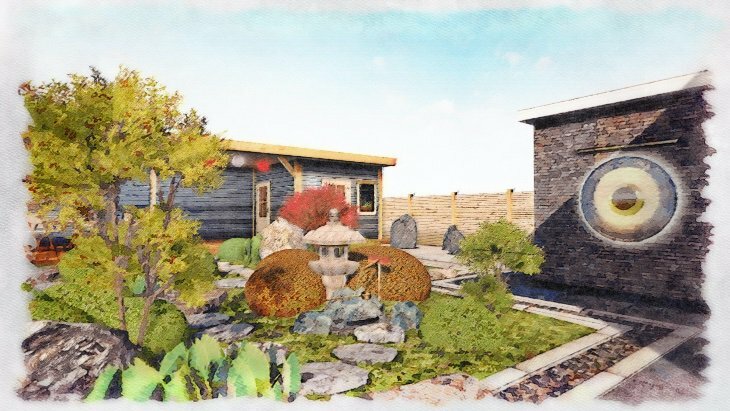 This pond consists of Shirakawa gravel which will be replaced at a later stage by a real pond. 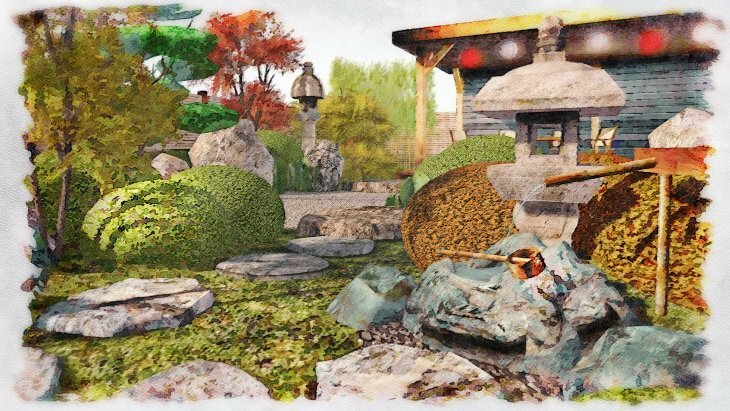 The pond runs into a narrow stream which continues into the side garden. 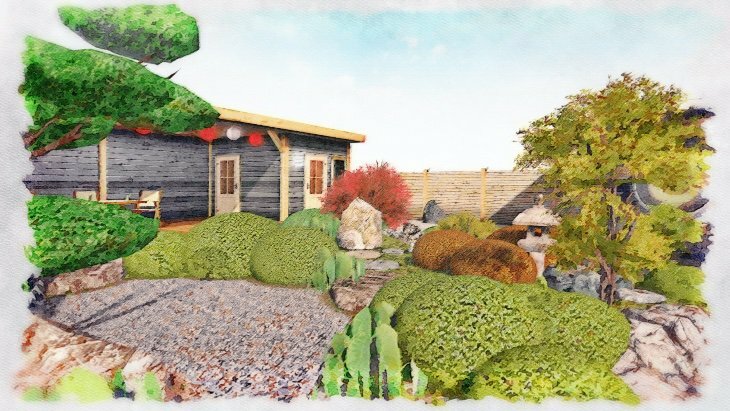 The side garden is closed at the front by large Taxus plants. 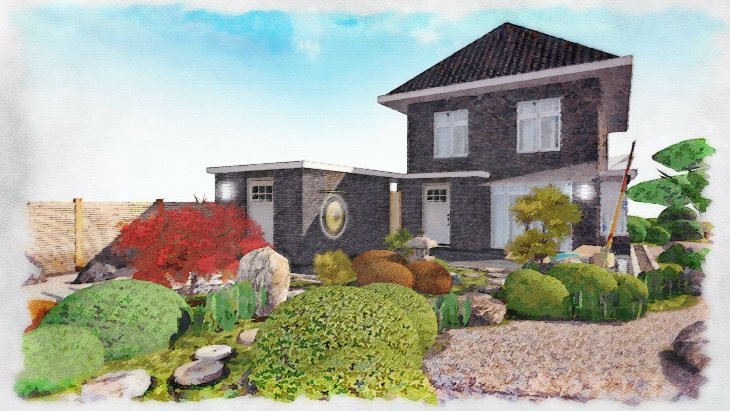 The design is divided into different areas; the natural stone terrace which is connected to the covered veranda by means of rectangular stepping stones. 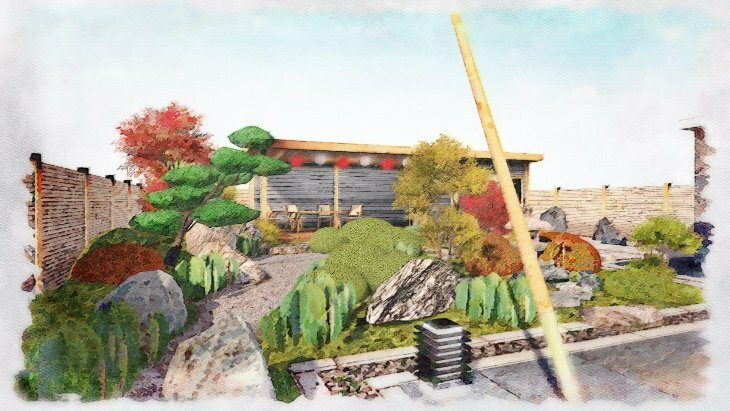 To the right of this is the zen garden with Shirakawa gravel and a rock formation in 'san-zon-seki' setup. 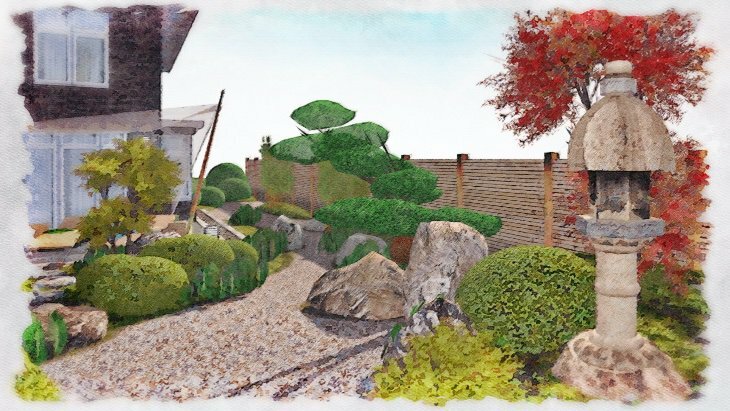 To the left of the path is the Japanese garden with stepping stone path, Azalea plants, Enkianthus plants, Japanese maples, a large rock formation, the Nurasagi lantern and a Shikoku tsukubai setup. 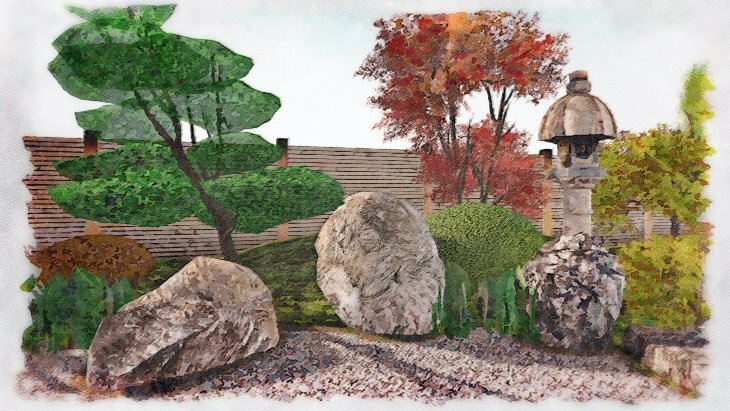 On the wall to the right of the stone terrace is a huge Japanese gong mounted which is softly backlit. 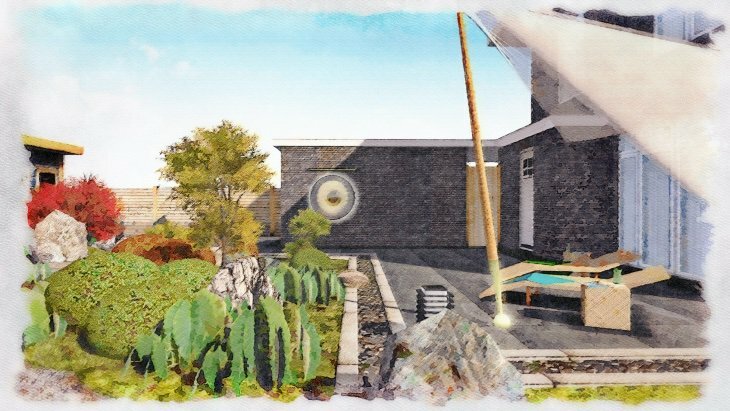 The terrace and wall lamps are by the Dutch designer Piet Boon.